You are here: Home / Portland Food and Restaurant News and Discussion / Still Hungry? Go Back to the Buffet and Get More Food News! An anonymous email says that Morgan Brownlow has found a new home as executive chef at the longtime lacking Papa Haydn Group. You may remember Morgan from lots of past restaurant gossip posts, but my tipper says that he is calm and humble and looking to find peace in the city he was born in. I hope so – he’s a talented guy. 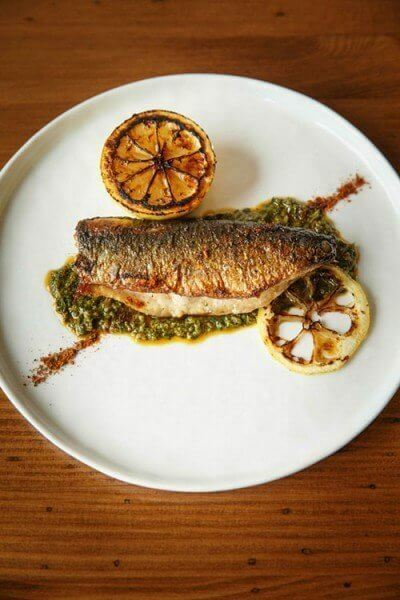 Levant – Sardine a la Plancha, Charmoula, Grilled Lemon. In a city that seems to pop out a new, hot restaurant every 15mins, chef Scott Snyder’s Levant managed to trump all newcomers this year by turning his place into a culinary United Nations, using French techniques and a centerpiece Tuscan wood-fired grill to fire out Middle Eastern, North African, Iberian, and Sephardic Jewish cuisine. But what the hell does all that mean, aside from making it impossible to classify on Yelp? It means hearty, intensely flavorful dishes like rose-scented duck breast with “dirty” freekeh grains, squid with toasted almonds and preserved lemon, or beef kofta (kind of like meatballs) with berries, pine nuts & yogurt. It also means you’ll never eat anything like Snyder’s creations anywhere else. “I was wondering if your blog might want to weigh in on the growing trend of high seating/stools in restaurants. I can see how this is appealing to restaurants. But as someone with a lower body disability, many times the seats are simply impossible to hoist myself into or to sit on. It is interesting that he brought this up, because I have a difficult time with high seating too. My only suggestion is that he makes sure he is getting to the restaurant early, makes a reservation himself and mentions that he needs a regular chair, or makes new friends who will keep this in mind if they get to the restaurant first. Most restaurants have some low tables that they might hold if you call and ask nicely. Remember, they want your business. Southpark restaurant just at the edge of the South park blocks has agreed to partner with the Monterrey Bay Aquarium’s Seafood Watch program. The program helps consumers and businesses make responsible seafood choices, and steers them towards seafood that is fished or farmed in ways that don’t harm the environment. Other local restaurants participating are Bamboo Sushi, Higgins Restaurant and Bar, Urban Farmer and Whole Foods Market. Where the heck is New Seasons? According to the Oregonian, Southpark will be expanding their selection of seafood dishes. Want to make your fortune writing for newspapers and magazines? Gone are the days of $2 a word, made especially clear in a Craiglist posting for Imbibe magazine. That sounds like a lot of work for just over $100. No wonder there is so much crap ending up in magazines/newspapers these days. According to Eater, Oswaldo Bibiano, owner of Autentica and Mextiza, will be opening a second Uno Mas taqueria. It will be going into the the space that formerly housed Soi 9 on the bottom floor of the Civic condominiums at 19th and West Burnside. It will “keep serious late-night hours” – I’m sure Civic residents will love that. I think the food at the original Uno Mas in the Ocean complex in NE Portland was okay, but it didn’t blow me away. As reflected in the last survey, many readers seem to think he is getting stretched a little thin. Chasing the dollar is a dangerous game to play. I’ve read several articles in the last week which tout the return of the seasoning named MSG. NPR says it is “Seasoned For A Comeback“, to which I say, It’s about freaking time. MSG, or monosodium glutamate was discovered in 1908, and is made from seaweed. It’s the “fifth” taste, along with bitter, sour, sweet and salty. The interesting thing about MSG, is that it has no taste on its own. But combine it with a savory flavor, and when used sparingly, it improves the overall taste of foods like meat, fish, poultry, soups, etc. Adequately controlling for experimental bias includes a double-blindplacebo-controlledexperimental design (DBPC) and the application in capsules because of the strong and unique after-taste of glutamates. In a study performed by Tarasoff and Kelly (1993) 71 fasting participants were given 5 g of MSG and then administered a standard breakfast. There was only one reaction, and it was to the placebo in a self-identified MSG-sensitive individual. In a different study done by Geha et al. (2000), they tested the reaction of 130 subjects who reported sensitivity to MSG. Multiple DBPC trials were performed and only subjects with at least two symptoms proceeded. Only two people out of the whole study responded in all four challenges. Because of this low prevalence, the researchers concluded that the response to MSG was not reproducible. According to NPR, more and more chefs are seeing the value of the additive, and are using it in greater numbers. The second location of Troy MacLarty‘s Bollywood Theater on SE Division at 30th Avenue, has been delayed again. The build out was supposed to be finished this fall, but plans have been pushed back to a February opening. According to Troy, the new location will be about 4,000 square feet, and will include a patio and a large Indian food market. Bollywood is known for counter service Indian Street food and very reasonable prices, and should be on your list if you enjoy the cuisine. It won my Reader Survey 2013 for Best Indian. Subject: Host the Awesome Lockards on Christmas Eve! Every Christmas Eve my family enjoys an amazing night dining out and this year I am offering you the exciting opportunity to be our restaurant that hosts us! 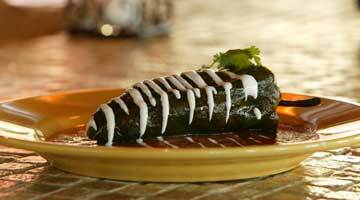 4) listed in our Christmas Eve dining guide published Dec 10th, 2013 on AML. Dinner for 5 drinks and food compensated, we will tip according to the value to the server. This is a VERY innovative and effective way to promote your restaurant on this very competitive evening and reach tens of thousands of local foodies through AML’s channels. Please note this is first come, first serve. Be THE top restaurant we recommend this Christmas Eve to our HUGE audience!!!! Providing Online Advertising, Marketing, Events, Social Media Consulting and More! Category: Portland Food and Restaurant News and Discussion. Related posts about Autentica Restaurant, Bollywood Theater Restaurant, Levant Restaurant, Mextiza Restaurant, Southpark Seafood Grill, Uno Mas Taqueria. More about Morgan Brownlow, Scott Snyder, Troy MacLarty. I hope the Papa Haydn rumor is true. I love PH West, but the food has been seriously lacking in recent years. I had lunch with my mom a few weeks back and we both lamented how much better the food could be. PH West should be like Balboa Cafe in San Francisco- delicious, fresh classics. Just to clarify – I don’t think that is listing for Imbibe magazine, but instead is for a new alcohol magazine that was featured on Imbibe”s front page.